Sydney. Sydney. Sydney. Where on earth do I start? I am absolutely head over heels in love with Australia and Sydney has been the touchdown point for me, when flying from London, on all five of my adventures down under so I’ve done my fair share of exploring it. Located in New South Wales, on the East Coast of Australia, and famous for its Harbour bridge, the opera house, and for not being the capital of Australia, people come from all over the world to experience this city-seaside destination. Sydney is also the destination I chose for WMGT adventure #7. See what we got up to here and stay tuned for WMGT Sydney 2020! To be honest, if you only have a few days in Sydney (unless you are wonder woman or you want to give yourself a heart attack) you aren’t going to be able to see it all. Top tip: The destinations mentioned below are all in a handy Google Map for you! Top tip: Grab an Opal Card (Sydney’s answer to Oyster cards) as soon as you arrive, so you aren’t rushing just before you need to use it for the first time! Morning: First things first, arrive at and check into your accommodation, freshen up, and get ready to get cracking! If you aren’t sure where to stay in Sydney, check out my Sydney hostel guide here. Afternoon: Explore The Rocks. Wander around one of the oldest parts of Sydney, located just beside Sydney Harbour Bridge. Look around the boutique shops, grab lunch in one of the gorgeous cafes, or grab a smoothie on the go. Another option is Surry Hills. Another gorgeous superb of Sydney, you could easily spend the day wandering the flower and pastel filled streets, stumbling across dreamy vintage stores, bakeries and breakfast spots. See my guide to Surry Hills here. – Watch the sunset from Mrs. Macquarie’s Chair: Walk past the Opera House and continue along the waterfront until you reach this point, where you will get a view like no other of the sun setting over the Opera House and the Harbour Bridge. 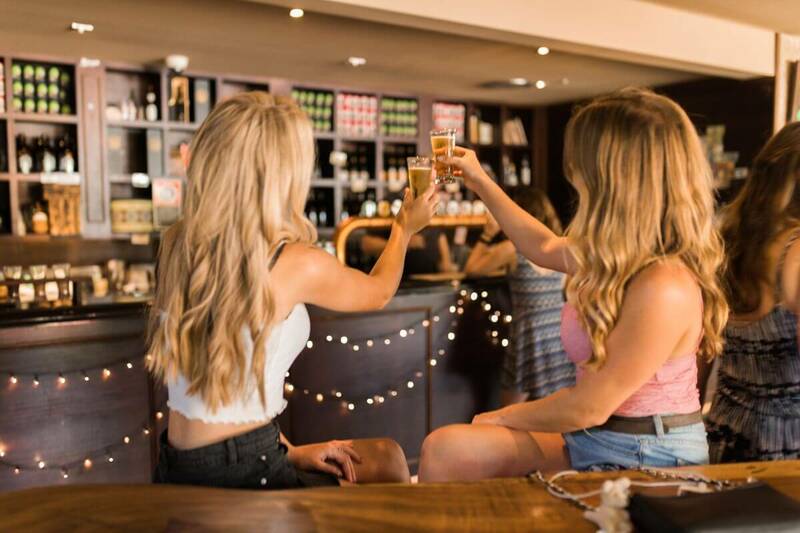 – Have a drink and food at the Opera Bar: Located just beside the Opera House itself with incredible views over the landmark, grab your favourite cocktail or glass of bubbles and toast to the incredible adventure you are just beginning! After a day of city life, I think it’s time for a day out! My favourite day trip in the area definitely means going to the Blue Mountains. Grab a car, hop on a train or book onto a group excursion to the outer region of Sydney where this World Heritage listed phenomenon lies. Partake in a bit of outdoor activity or simply grab lunch at one of the restaurants and take in the views. If you book your Coast Warrior Blue Mountain trip through Ratpack Travel using the code MOLLIE10, you can get 10% off this epic excursion! WMGT did this one and it was amazing!! Alternatively, here’s my post about a self-guided trip there. – Taronga Zoo: The Zoo with a view! Head down to Circular Quay and hop on a 12 minute ferry to Taronga where you can view over 4,000 animals including Kangaroos & Koalas! Tickets start at $42.30 for an adult day pass, and can be purchased on the website here. – Hunter Valley: Vineyards, chocolate, a brewery, cheese, and wildlife, all in one day! See my post here. – Manly: (although I’d save this for Day 4…!) Hop on a ferry from Circular Quay to this gorgeous beach-side superb in the northern region of Sydney. See my complete guide to Manly here. – ROAD TRIP (my favourite kind of trip!). There are so many places you could go, including Hyams Beach, Newcastle, and Morisset. 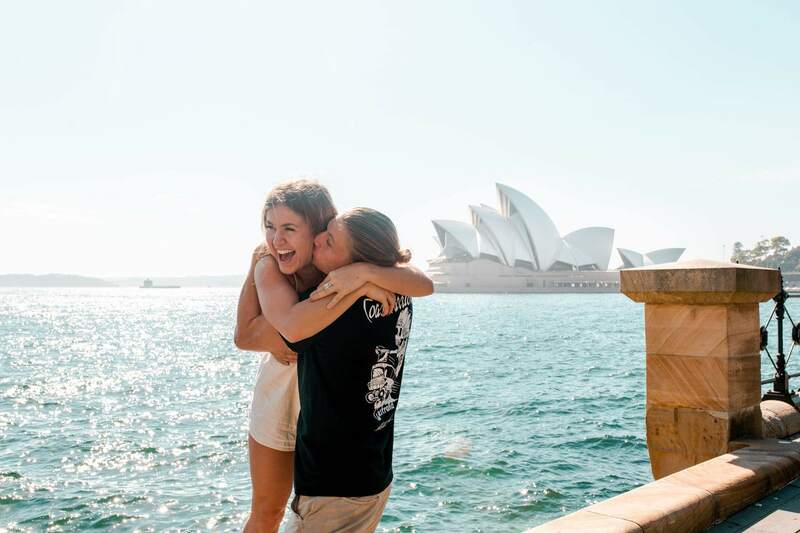 Top tip: Sydney is a really common place to land and start an East Coast road trip from, and you can also book campers through Sammy at RatPack Travel! Either head back to Sydney after dinner, or if you fancy dinner or nightlife in Sydney, why not try dinner in Darling Harbour… such a beautiful dinner location on the waterfront. P.s. One of my favourite places to eat in Sydney is HOME, a Thai restaurant near Chinatown. Super reasonably priced and v.v. yummy! A day to kick back and relax! If you’re feeling particularly energetic and don’t want to waste a second over sleeping whilst in Sydney, use this morning to capture the morning light. Sunrise is a great time to grab those classic Sydney pictures in gorgeous light with no photobombers… You can’t leave without those million dollar selfies with the Opera House, the Harbour Bridge, and if you have time, Angel Place (a cute street filled with bird cages, which is a 10-minute walk from Circular Quay). I put today down as beach day, starting at Coogee Beach and then following the walk round to Bondi. (Because it wouldn’t be a complete trip to Sydney without a trip to Bondi, right?!). Make sure to stop off on your way round to jump in the ocean and take some beautiful pictures in the bays! Once you make it around the final corner past the famous Bondi Icebergs, spend the afternoon cruising in Bondi. Play volleyball, dip in the ocean and if you’re a Poké fan… Be sure to grab a bowl at Nudefish Poké (so good). If you fancy doing a different walk, check out my post about walks around Sydney here. Your last day! 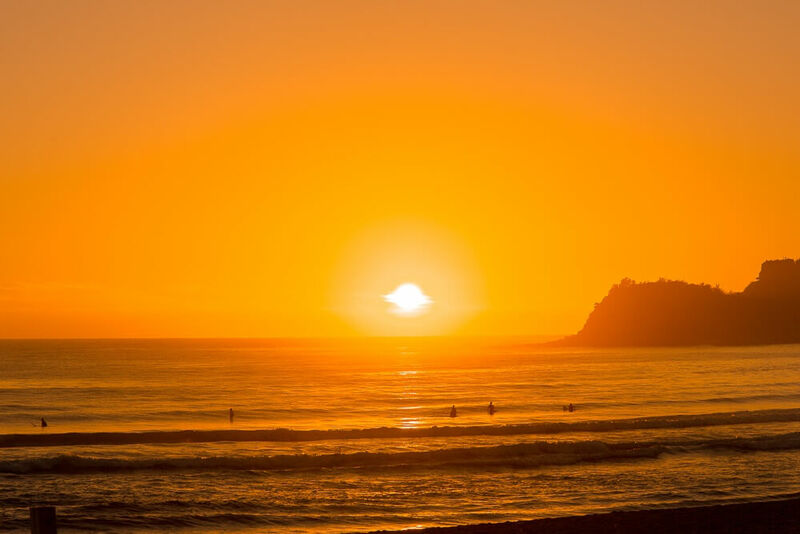 If you didn’t catch sunrise before, perhaps head out and catch it today. Take the morning to explore the city a little more, visiting the places you haven’t had time to see yet and grabbing coffee or brunch. See my favourite Sydney brunch spots here. For the afternoon, I’d recommend you take the ferry from Circular Quay over to Manly for the day ($9.20 AUD single trip)! (Or, if you went on Day 2, then head out on another day trip of your choice!). 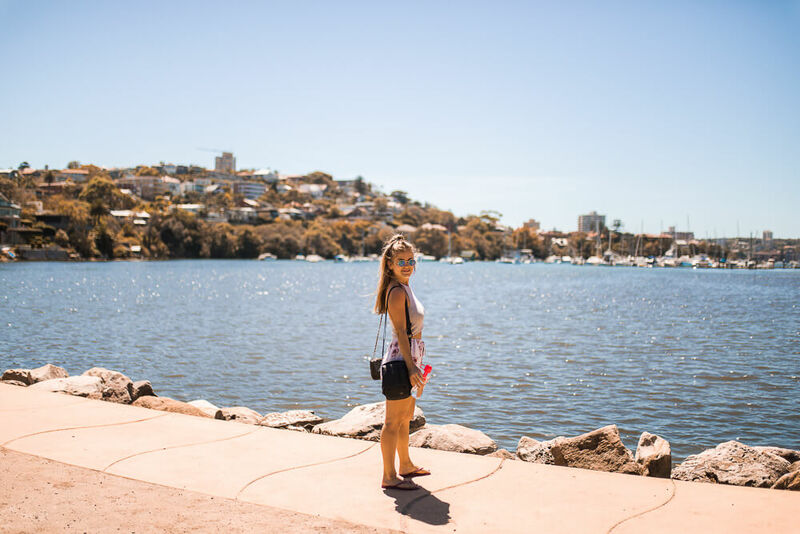 Manly is my favourite place in Sydney by far, it has the laid back beach life of Byron Bay but has access to the city in 20 minutes via the fast ferry. Definitely somewhere I could live. Be sure to head over to Shelley beach for a beach day and an awesome spot for snorkelling and hang around for sunset cocktails on the wharf. The PERFECT end to your trip. 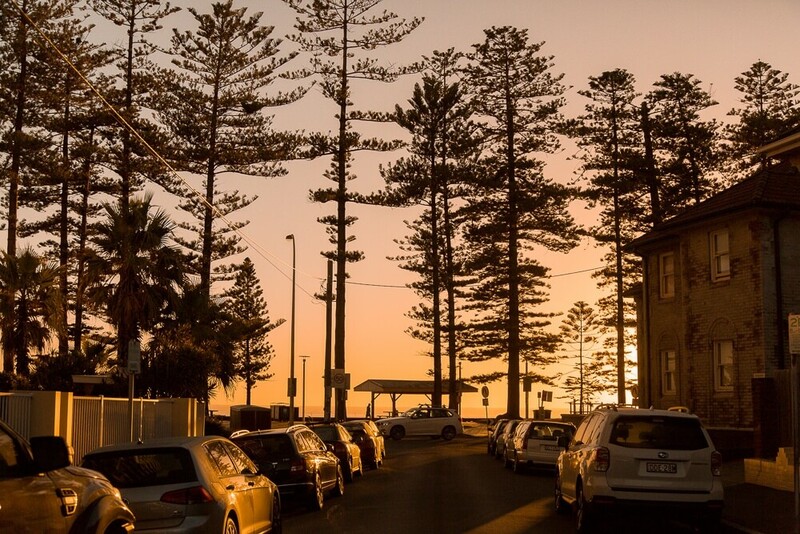 See my full guide to Manly here where you’ll find all my recommendations. And before you know it… that’s four days in Sydney! What were your highlights? I’d love to know! If you are starting a road trip from Sydney and you need a Free Personalised Travel Calendar then feel free to hit this link and Sammy at RatPack can send you over some EPIC travel suggestions!